“The New Jerusalem” is a gorgeous setting of the familiar Bible text found in Revelation. 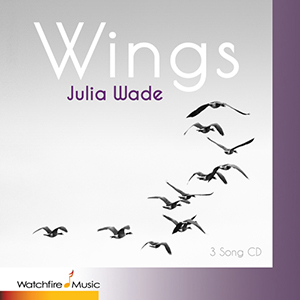 It’s part of Julia Wade’s 3-song CD, “Wings” which presents three different studies of the search for inner peace. Contemplate with Julia through the silence of your being, the evolution of expanded thought and the flight of music. Produced and orchestrated by Peter Link, the EP album soars on the wings of your imagination.